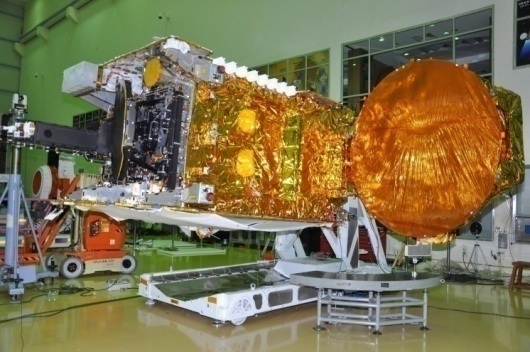 GSAT-18 continues a long business relationship between Arianespace and the Indian Space Research Organization that relied on the European company to launch its heavy communications satellites for the past decades while India’s own heavy-lift launchers were being developed. 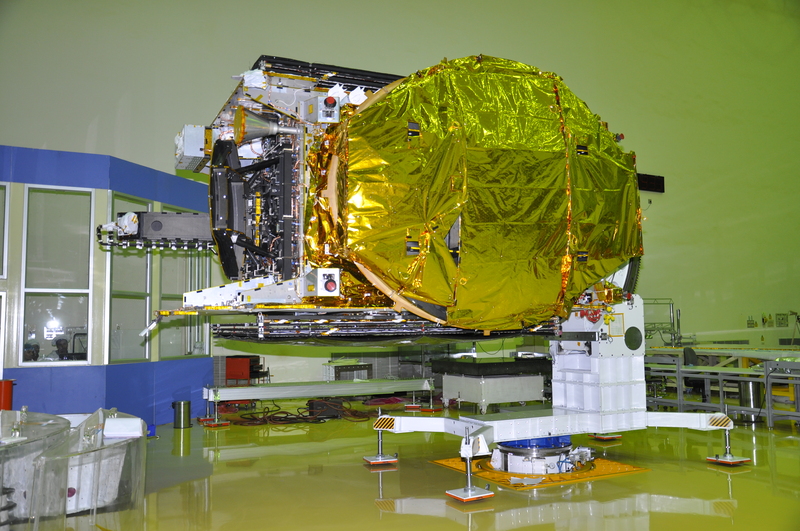 It is the 20th ISRO satellite launched by Arianespace. GSAT-18 was built by the Indian Space Research Organization for operation as part of the Indian National Satellite System to deliver replacement and expansion capacity for television, telecommunications, Digital Satellite News Gathering and VSAT services across the Indian territory. 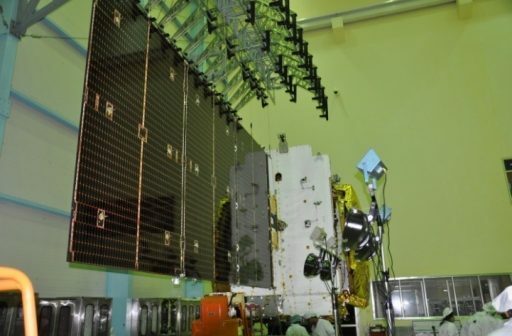 Built on ISRO’s I-3K satellite bus, GSAT-18 has a launch mass of 3,404 Kilograms, featuring a multi-band payload to satisfy a diverse set of communication demands in India. 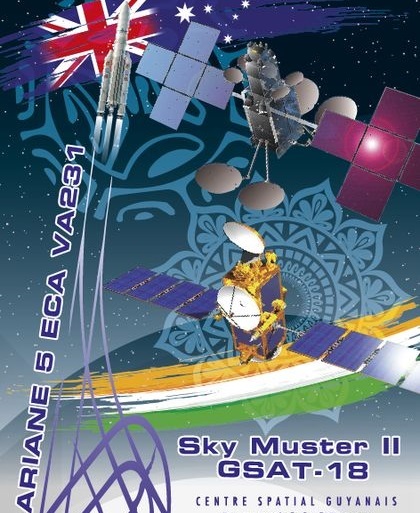 The satellite hosts 48 transponders – 24 standard C-Band transponders, 12 Upper-Extended C-Band transponders, 12 Ku-Band transponders and a pair of Ku Beacon transmitters which are employed for precise antenna pointing on the ground. Operating from 74 degrees East to cover India, GSAT-18 is expected to operate for 15 years in a slot co-located with other INSAT spacecraft. 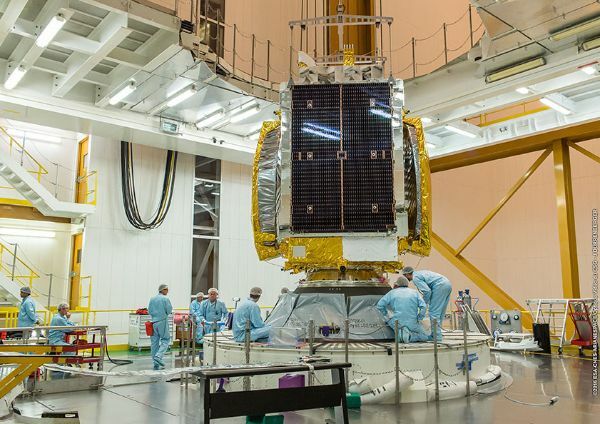 Utilizing the I-3K satellite bus, GSAT-18 measures 3.1 by 1.7 by 2.0 meters in size making it suitable for the lower payload berth on the Ariane 5 rocket. It has a dry mass of of 1,480 Kilograms and holds 1,924 Kilograms of propellant and pressurant gas. 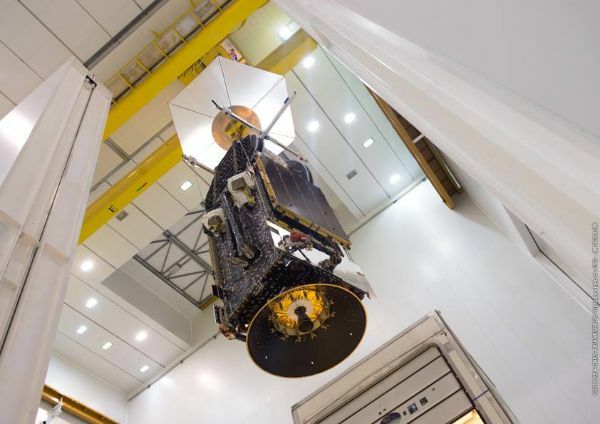 The I-3K satellite bus is built for Geostationary Spacecraft in the 3,000-Kilogram mass range with a total power capability of 6,500 Watts of which 4,900W are available to the communications payload. The I-3K bus was first flown in 2005 and supports a payload mass of up to 400 Kilograms, consisting of 24 transponders or more. GSAT-18’s two power-generating solar arrays deliver 6,474 Watts routed to a pair of 144 Amp-hour Li-Ion batteries. In orbit, the satellite has a span of over 15 meters when both of its solar arrays, each with three 2.8 by 1.9-meter segments, are opened up. The spacecraft features two 2.4-meter deployable antenna reflectors. 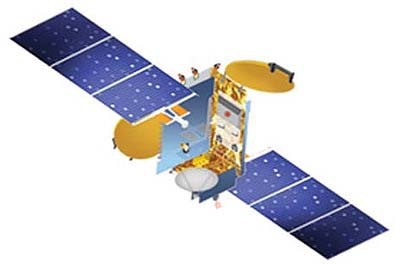 GSAT-18 uses the trusted Liquid Apogee Motor for apogee-raising maneuvers while 22-Newton thrusters are used for attitude maneuvers and stationkeeping in Geostationary Orbit. Both engine types use hypergolic propellants, MON-3 oxidizer (Nitrogen Tetroxide with 3% Nitric Oxide) and Unsymmetrical Dimethylhydrazine as fuel. Tank pressurization is accomplished by using high-pressure Helium. LAM provides 440 Newtons of thrust which equates to 44.87 Kilograms. The engine operates at a mixture ratio (O/F) of 1.65 and has a nozzle ratio of 160 providing a specific impulse of 3,041N*sec/kg. The engine’s injector is a co-axial swirl element made of titanium while the thrust chamber is constructed of Columbium alloy that is radiatively cooled. Electron welding technique is used to mate the injector to the combustion chamber.